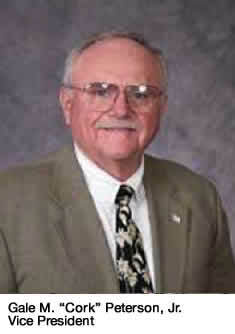 Cordell founded Peterson Contractors, Inc. in 1964 and now serves as President and co-owner of the company. 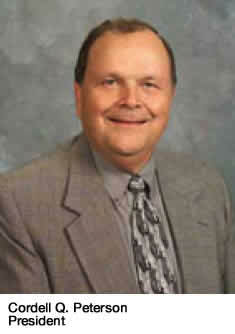 He is a 1963 graduate of Buena Vista University, where he is currently a member of the Board of Trustees. Cork joined Peterson Contractors, Inc. in 1965 and now serves as the Vice President and co-owner of the company. He graduated from Iowa State University in 1966 with a degree in Construction Engineering. Cork also served as an officer in the Army Corps of Engineers. In 2013, Cork was inducted to the Iowa State University Construction Engineering Hall of Fame.